Scalability has become an important feature that is considered imperative for any technology to have. Blockchain too has been criticised as a technology, for not being scalable, as compared to its traditional contemporaries. In this piece, we will try to figure out how this problem can be solved. Before that, let’s take a look at what the actual problem is. the capability of a system, network, or process to handle a growing amount of work, or its potential to be enlarged to accommodate that growth. With blockchain currently, scalability is an issue that hinders its mainstream acceptance. Currently Visa, the fastest measured payment network can process approximately 24,000 payments per second. However, with blockchain, most cryptocurrencies have a dismal transaction speed, which can’t keep up with the demand. Cryptocurrencies like Bitcoin and Ethereum have transaction speeds of 7 and 15 transactions per second, respectively. As you can see, the juxtaposition does not paint a pretty picture for blockchain. So what can we do about it? How Do We Tackle The Problem? The recent BCH Hard Fork is a great example of a Hard Fork. It bring in a new chain, new rules or protocols, and can help solve the scalability issue by allowing for a shared load. SegWit is a software that is designed to initially solve the transaction malleability and also improve the capped block size issue. This sofware will enhance the block size limit to 4MB. This means that a single block would hold records of over 8,000 transactions. It is however not a long term solution as it will eventually present the same restrictions once the transactions have exceeded the limit. The Lightning Network is a payment protocol which depends on the SegWit platform and it can introduce instantaneous transactions. You can check out ‘Lightning Network: How Does It Work‘ to figure out the the payment protocol functions. It essentially reroutes the transaction on a separate channel, and the blocks are updated after that. Sharding is the sharing of data amongst different nodes and each node contains information only on the shard. This information is shared, and hence, decentralization is maintained. With this process, one can handle 2,400 transactions every second and therefore improve the scalability of the blockchain. PlasmaEthereum’s Plasma intends to trim the undesirable data from the root chain, rather than working from the block header that hashes to verify the transaction. 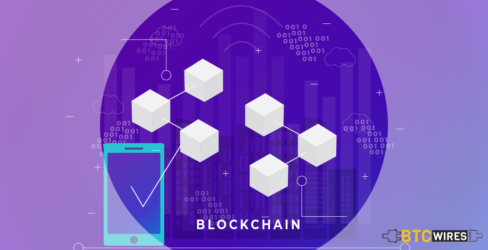 This will essentially reduce time and power required to process the transactions and only the successful transactions will be displayed on the public Ethereum blockchain.